Imaginary Authors is an artisan perfume house with an interesting concept. Josh Meyer, the perfumer behind the house, constructs scents based on fictional narratives that he composes. Each scent is a book, or story, in a dual fictional sense. Cape Heartache- Notes: Douglas fir, pine resin, Western Hemlock, vanilla leaf, strawberry, old growth, mountain fog. This one, she is a beaut. Sweet sugary evergreens greet the nose with Candy Land nostalgia. The pine comes forth pungent and sharp with sticky sap and a hit of camphor but quickly calms into soft heartwood and tiny wild strawberries. This dulcet strawberry woods endures for the duration on my skin. Love to pieces. 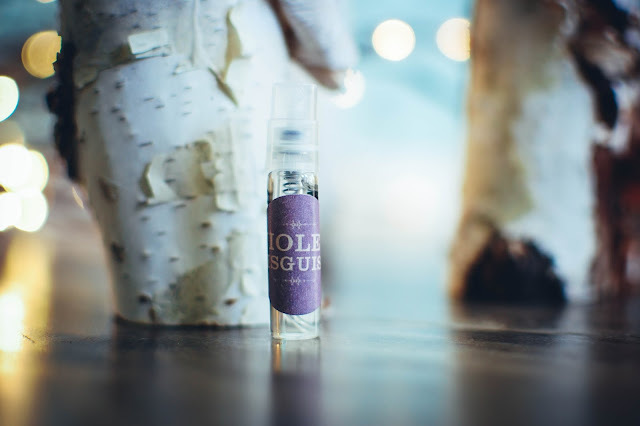 Violet Disguise- Notes: Plum, violet, dried fruits, balsam, amber, evening air and the month of May. Fizzy bubbles of violet plum soda pop tickle the nose in the top notes then fall away to silvery balsam silhouettes embossed against the plush blue velvet of night sky. Airy, musky, smooth. A beautiful scent. I bought several of the Cape Heartache when Imaginary Authors had a $1 sample sale recently. Samples are normally $6 each (2 ml), 14 ml travelers are around $38 and full sized 50 ml bottles are about $95 and look incredibly cool. 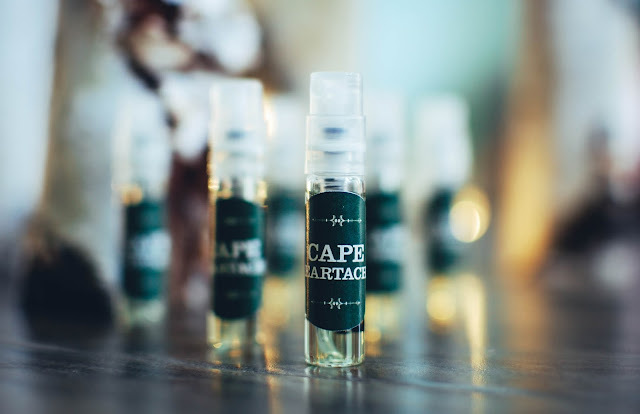 I will without a doubt be adding Cape Heartache to my fragrance collection in either a traveler or a full sized in the near future.